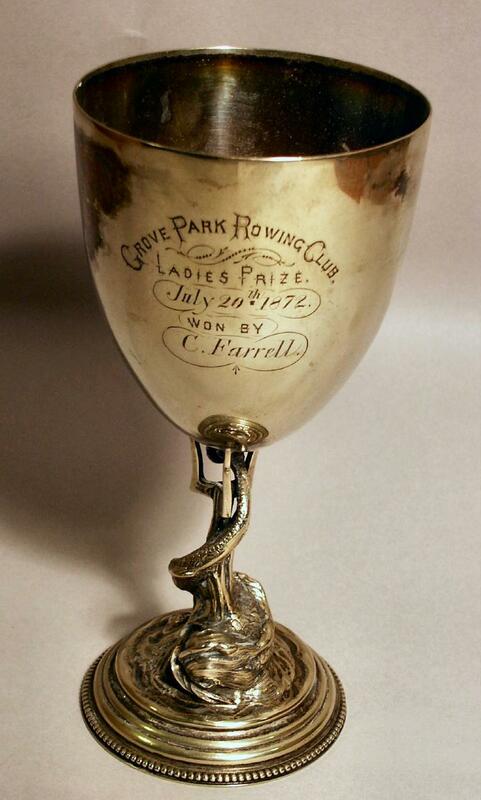 Ladies Prize awarded on 30 July 1872 to C Farrell. Grove Park Rowing Club. Silver plated cup with decorative stem comprising of a fish entwined around a trident.